Nice Edgar list! Here are a few suggestions that I have in my list that you might want to consider; however, my list is slightly more midrange than yours. 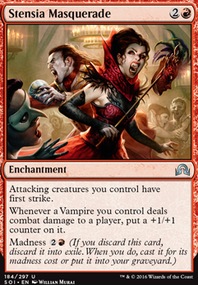 Shadow Alley Denizen : Cheap 1 cmc vampire that can give your vamps some evasion Mavren Fein, Dusk Apostle : Can provide a ton of value if left unchecked Anguished Unmaking : 3 cmc is fairly high for removal, but the versatility can make up for it. Smothering Tithe : Pretty much any deck with white can make good use of this card. Works especially well with reforge the soul and wheel of fortune, but also fuels your olivia voldaren and mirror entity mana costs. Guul Draz Assassin : 1 drop vamp that serves as a nice mana sink for a bit more removal. with an aggro build like this, I would aim to go below 3 CMC average. it's alright to have some huge CMC creatures or spells, just make sure you have the majority below 3. looking at your deck, I see you have 26 below 3, 14 at 3 and 24 over 3. in my Edgar deck I have 16 over 3. 13 @ 3. and 33 below 3 (36 lands), that gives an average of 2.86 CMC. I would drop some of those 6 drops for something cheaper and faster. your large CMC creatures and spells should really be finishers, so cards like Plague Wind is fantastic after you've built up your army, you plague wind and then attack and kill everyone. 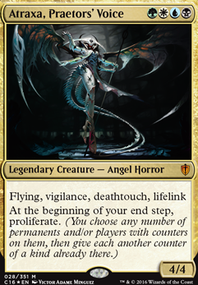 Teysa, Envoy of Ghosts is also a great creature, because it cannot be blocked and if something deals damage to you, it gets destroyed, she's not a vampire, but she could be, with something like Olivia Voldaren on the battlefield. 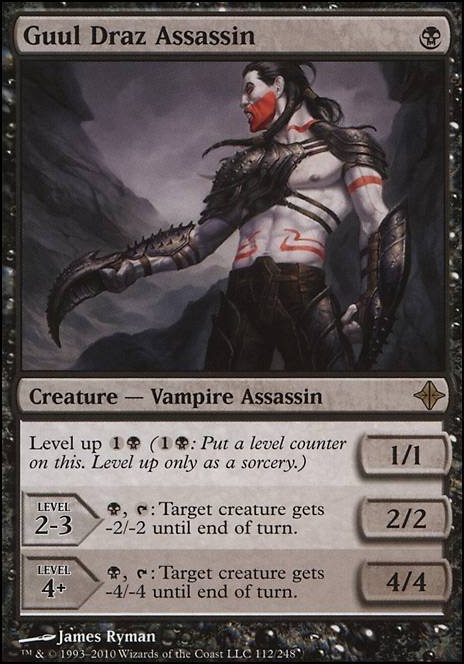 you could use Olivia's ability on teysa, teysa takes 1 damage and turns into a vampire, just hope noone uses a lighting bolt or anything on teysa afterwards, because then she would die, obviously you would be careful with this when playing vs a burn player. I've only given you the expensive options so far, I did say you should lower your cmc, so here are some more low ones I use: 1 CMC: Pulse Tracker Duskborne Skymarcher Guul Draz Assassin and more. 2 CMC: Gifted Aetherborn Vampire Hexmage and more. Land Tax is not really meant for mana screw (but trust my bad luck I had suffer it in this deck despite the low cmc), I play this card with Scroll Rack just to draw 3 extra cards a turn. Anointed Procession I played the card several times, it just wont last in the table, people look at that and inmediately gets the fear of Doubling Season, doubling is much more powerfull and the decks who abuse the enchant gets a lot more than our deck for annointed, but for some reason people just trash it out. Damn, this edgar build is sweet. I love your choices for vampires, some of which I definitely need to pick up... like the Guul Draz Assassin and Kalastria Highborn. +1 for slick deck. Yeah, I thought about adding Captivating Vampire when making this deck, but didn't think his second ability would be useful very often. Same with Indulgent Aristocrat. 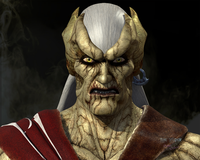 Bloodline Keeper Flip is something I might seriously consider in the future though, as well as Necropolis Regent. Somehow I missed Guul Draz Assassin when searching for suitable creatures for this deck. Seems pretty cool. Another one to consider when I'm making some changes. I'm also thinking about splashing some red in here, with 4x Stromkirk Captain. Nomad Outpost would be perfect land for the job. usaDiabetic I've updated the description. 30-35 lands is as trim as it can go, haha! It is true that once there are more than 3 opponents this kind of strategy faces greater opposition. I've played most often with 1-4 opponents but 4, 5, or more opponents would be trouble! To be fair to the deck, the card draw of Herald's Horn, Skullclamp, The Immortal Sun, Vanquisher's Banner, Asylum Visitor, Champion of Dusk, Dusk Legion Zealot, Forerunner of the Legion, Twilight Prophet, Dark Prophecy, Necropotence, Phyrexian Arena and reanimation of Victimize, Patriarch's Bidding, Living Death, Bloodline Necromancer help sustain after board wipes. 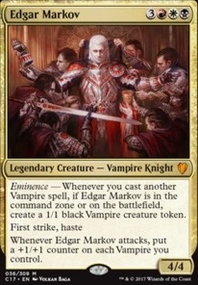 Enough creatures have excellent effects as well to benefit from being knocked out including Kheru Bloodsucker, Paladin of Atonement, Elenda, the Dusk Rose, Kalastria Highborn, Pawn of Ulamog, Voldaren Pariah Flip, Bloodghast, Oathsworn Vampire, Viscera Seer, Blood Artist, and Falkenrath Noble. 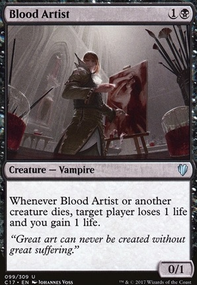 And for disruption/removal there's New Blood, The Immortal Sun, Voldaren Pariah Flip, Vampire Hexmage, Thief of Blood, Patron of the Vein, Captivating Vampire, Bloodhusk Ritualist, Gatekeeper of Malakir, Guul Draz Assassin, and Bishop of Binding. I'm open to suggestion though. Any other removal options you might recommend?